If you were God—you’re not nor am I—but imagine what it would be like for God to consider who He would entrust as a father for His newborn Son. We live in a world where trust appears as a fragile virtue—when trust is scarce. But the world is not so different now, in that sense, as when Jesus was born almost 2000 years ago. Israel—God’s people—were a nation under occupation by the powerful pagan Roman empire, including its ruthless soldiers. Look at the attention given to the British Royal family and the Queen’s grandchildren! We might expect a lot more attention and fanfare for the birth of God’s only Son (John 1:14). But it wasn’t so. A remarkable facet of the Christmas story is how the birth of Jesus took place. No special national attention was given to His birth until two years later (Matthew 2:1–12). And that attention proved to be tragic (Matt 2:16–18). Sure, there was an awesome angelic announcement outside of Bethlehem (Luke 2:8, 14), but who heard it? 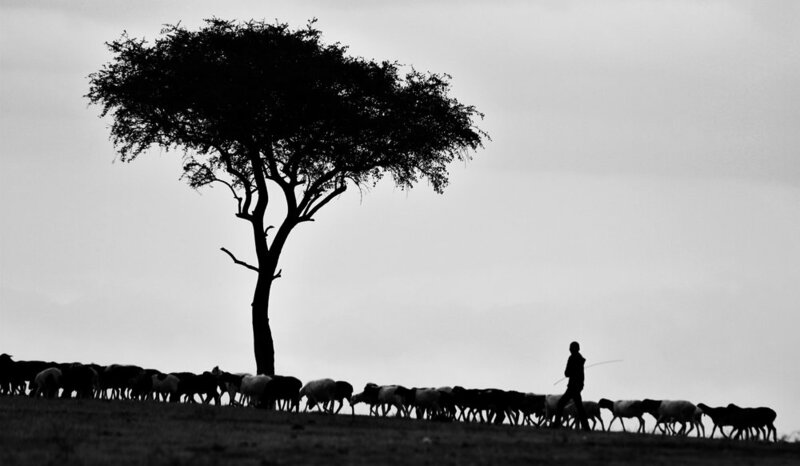 A group of nomadic—not-so-clean nor trustworthy—shepherds. They were not people of honorable status. Shepherds were the equivalent of the old range cowboys of America — not exactly who you’d want your daughter to marry. Not quite the royal announcement you’d expect for the birth of the King of Kings! One of the fascinating parts of the Christmas story to me is the father of the Savior of the world. Actually, Joseph was the stepfather (Luke 1:26–38). This is made clear by Joseph’s initial plan when he heard his bride-to-be was pregnant. He knew it wasn’t his child. But here’s where the story takes an unexpected turn. This is how the birth of Jesus Christ came about. His mother Mary was engaged to marry Joseph, but before they married, she learned she was pregnant by the power of the Holy Spirit. Joseph was not an ordinary man. At first, he may appear ordinary, as a carpenter from a small town in northern Palestine (Israel). What makes Joseph extraordinary is the trust God places in him. The first thing I notice is Joseph’s character. He was “a good man.” Other Bible versions use the words just, righteous, upright, and honorable to describe Joseph. He had integrity. The kind of character God could trust. When Joseph finds out Mary—the woman he is legally promised to marry—is pregnant, he doesn’t want to publicly disgrace her. Though it was humiliating, he wasn’t vindictive. He still loved his wife-to-be. His plan to quietly divorce Mary is interrupted by a dream. In the dream, an angel of the Lord informs Joseph what’s taking place. A final insight into Joseph’s trustworthiness is his response to all of this. There is more to the story, of course, but you can read it yourself. The story of Christmas is found in the first two chapters of both the gospels of Matthew and Luke. Joseph’s qualities as a man — good character, compassion and humility, spiritual perception, and faithfulness — add up to a trustworthy man. God is still looking for men like Joseph. Men who are trustworthy to bring the message of God’s redemption to a dark, insecure, and untrusting world. This Christmas, think about the man to whom God entrusted as a father to care for His Son — the Savior of the world. The Savior — crucified and risen, now seated in power in heaven — will transform any person who puts their trust in Him above all. Are you willing to become a person like Joseph? Which of Joseph’s virtues do you most identify with and which one do you least identify with—his integrity of character, compassion, humility, spiritual perception, faithfulness, or his trust in God? Have you ever smelled fresh-baked bread as it comes out of the oven? I remember mornings in the Philippines when I’d walk by a bakery and smell the fresh pan de sal rolls baked fresh every day. It makes me hungry just thinking about it! Living near the beach in North Florida, I enjoy taking in the fresh salt air drifting in from the ocean or the rain evaporating with the first rays of daybreak. These images come to mind as I read these verses about the Lord’s mercies being new every morning. They bring great assurance though written during a very dark time in the history of Israel. This post was originally published in Publishous on Medium—click on the link “Read more…” for the rest of the post… Thanks! Authority is one of the most misunderstood and abused elements of leading others, regardless of circumstance—work, home, church, business, even within the military. Webster’s definition speaks of—power to influence or command—but also—freedom granted by one in authority. When it comes to the role of authority as a servant leader within the Kingdom of God, Jesus is our prime example. He received His authority from His Father. Those of us called to be leaders within God’s kingdom receive our authority from Jesus and Him alone. Not a government, nor a board, nor any ecclesiastical (church) authority. It is a privilege extended to us by the Lord for His purposes and it carries a double responsibility. We are directly responsible to the Lord whenever exercising any authority within His kingdom, which includes any and all local churches. We are responsible for those Jesus gives us charge over. Abuse of authority happens when a leader loses sight of this double-sided responsibility. At times, the Lord’s authority must be exercised for a purpose beyond the immediate situation. This is seen in Jesus’ dialog with Peter in verses 6-9. Jesus was washing the disciple’s feet as an example but Peter didn’t understand this. So, Jesus exercised His authority as Messiah to make it clear Peter needed to allow Jesus to wash his feet. Whatever authority the Lord extends to anyone is a gift because it has value and purpose beyond the person who bears it. It’s not ours to wield in whatever way we want. Its purpose is to bless and strengthen others. Authority in the role of a servant leader is not a position held or a role to play but leadership that guides others with a gentle strength.